The new assistive technology lab on the fourth floor is considered one of the most coveted spaces in the hospital, with beautiful windows overlooking the Front Range. The room is more organized and spacious. In the new space, lab staff teach patients how to use state-of-the-art equipment to be as independent as possible. 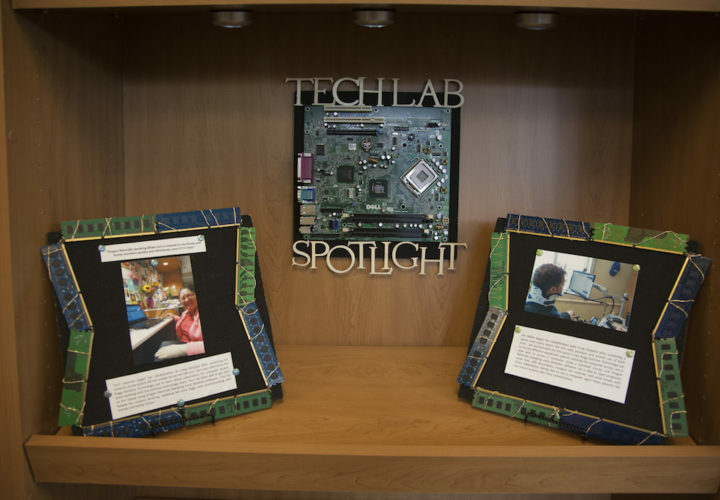 Each month therapists use prime space within a set of bookcases to spotlight patients who have benefited from the tech lab. The lab is much more organized due to the layout. It is much more efficient and much less cluttered, and overall a more pleasant atmosphere.